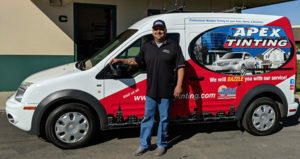 Home window tinting is full of advantages for home owners along the Central Coast .We live in a terrific location with lots of sunshine throughout the year. 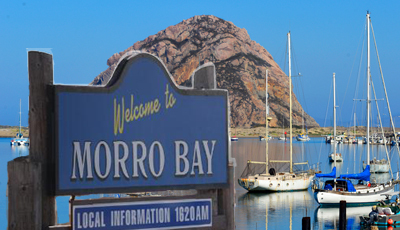 This same sunshine which we appreciate so much here in Morro Bay, can also have damaging effects to our homes, furnishings and even our skin. Home window tinting films add protection from heat, glare, and UV rays. Even though we love the sunshine it can make us uncomfortable when it elevates the heat too much, or shines in directly, causing frustrating glare. Sometimes we even avoid a particular room or part of the house at certain times of day, because the sun is blazing through an exposed window. That glare makes it hard to see TV’s and computer screens too. So get back to comfort with Apex home window tinting installed on your sun facing windows! The sun’s rays are very powerful, they cause fading of furniture, flooring, draperies, and other items. Replacement is costly and sun damage can even depreciate your home’s value. Not just your home, but you yourself can be a victim of the damaging UV rays from the sun. They pass right through unprotected glass windows. Perhaps you know someone who, or possibly yourself, has been affected by Melanoma. It is the most common form of cancer and the evidence says there is an association between UV radiation and skin damage. these days most of us are vigilant about applying sunscreen when we go outside, but most of us don’t think about the UV rays which are reaching us when we are indoors! Having residential solar tinting for your home windows installed, will reduce UV rays, keeping you and your belongings safer from damage. If home security is a priority for your family, our Security window films can help. Apex security films help keep glass fragments together when breakage occurs, protecting the occupants inside. This is ideal in a nursery or child’s room, as they are most vulnerable to being hurt by glass fragments. Apex carries a selection of thick security films (ranging from 4 mil. to 15 mil.) providing added comfort and security to your home. We know that nothing can completely keep someone out, but with security film in place, would be thieves will have a harder time breaking the window glass and getting through it. We all want every second we can get when we are in danger and waiting for help to arrive! You might think, “I’m afraid my windows will be too dark. And I want to see outside clearly” It’s a common misconception that home window tinting needs to be dark to achieve results. But this just isn’t the case! Advancements in technology make having a healthy balance of natural light and needed protection for your residential windows a reality! Apex has a product line that will cut out very little visible light while reducing harmful UV rays by 99%. These products will dramatically reduce home heat build-up too, making you more comfortable and reducing energy bills. Do you have a window that faces an unattractive view? Or need more privacy in certain rooms of your home? Apex Tinting also specializes in decorative film options like opaque, frosted and one-way. These options will address these issues and provide you with the look you want. Just bookmark this page and give us a call!